The flu season is here, and family caregivers are susceptible to the nasty viral infection because they don't prepare as they should to keep aging loved ones and themselves flu-free. If you follow through with the conventional medicine tips and solutions, you've lined up early this fall to get the yearly flu vaccination. If you choose to get a shot, that's up to you. However, there are additional ways to keep your immune system functioning at a high level to keep those nasty viruses at bay. When the immune system operates correctly, it can fight the flu and a cold, without expensive medicines. Here are a couple of things I do to keep my body's immune system tip-top. Avoid eating processed foods like white flours and sugar. They can weaken immune health and spread inflammation. Eat organic vegetables, fruit, and other foods. Get plenty of rest and sleep. Get some sun, Vitamin D helps fight the cold and flu virus infections. If that's not enough to convince you and need more suggestions on how to remain healthy, professionals of the Aging Council at Seniorcare.com offers the following tips. Alex Chamberlain at Easy Living Florida believes you should stay healthy and vigorous. Get regular checkups, tests, and immunizations. Eat healthily foods and exercise. Caregivers especially need to be mindful of getting rest and respite. Scot Cheben with Caregiving Answers thinks This works great, I buy a few bottles of Hand Sanitizer and keep them by each entrance door. Everyone entering sanitizes coming in and going out. Remember to wash your hands often while you're there. Kathy Birkett with Senior Care Corner believes older adults and caregivers should get an annual flu shot. There are things that everyone can do to prevent the spread of illness such as practicing good hand washing, eating a wide variety of healthy foods, sleep well, drink adequate fluids and stay physically active so that your body can build its defenses. Ask sick people not to visit and don't visit others when you are sick. Genes Belamide with Bay Alarm Medical suggests that one should cover your mouth and nose when coughing or sneezing, get plenty of rest, and eat fruits and veggies. Laurie Miller with Apple Care and Companion knows that caregivers need to do all the things mentioned above, plus, use gloves when assisting with personal care. Everyone should wear gloves to not only protect yourself but not to pass on germs from the "outside" to a homebound loved one. 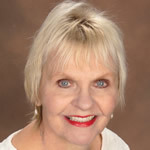 Carol Marak, aging advocate, columnist, speaker and editor at Seniorcare.com. She earned a Fundamentals of Gerontology Certificate from USC Davis School of Gerontology.